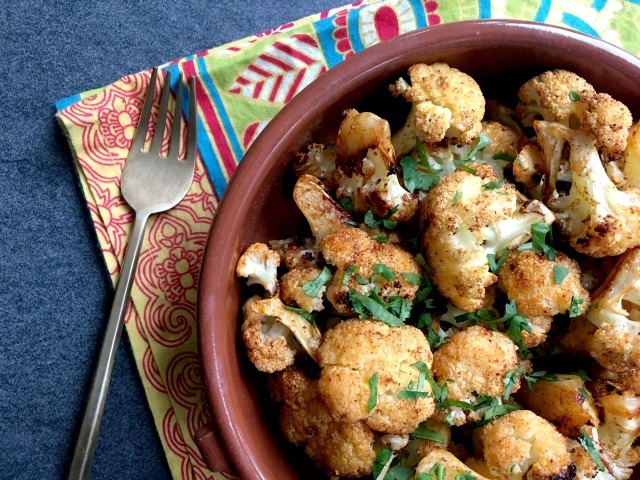 Roasting cauliflower in butter and spices makes it easy to eat your vegetables. 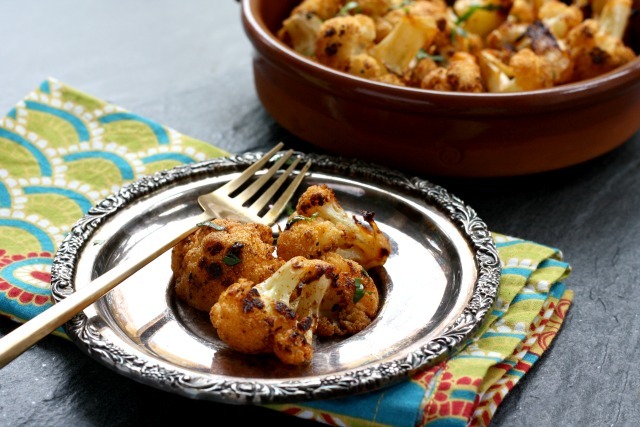 Spice roasted cauliflower is slightly sweet and mildly spiced with both hot and smoked paprika and a hint of cinnamon. 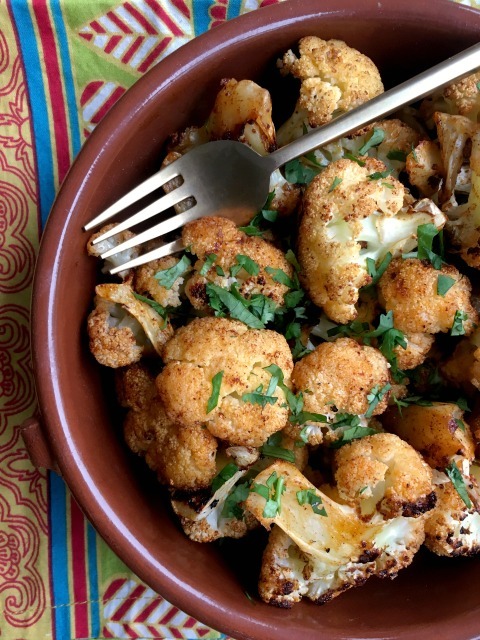 Tossing it with olive oil and melted butter before roasting adds a richness to the flavour, turning sometime ho-hum cauliflower into an extra tasty side dish. We all have stories of when we didn’t want to eat our vegetables. When I was very young, mashed squash made me queasy. My brother Erik, who even as a youngster ate almost every vegetable he was served, used to hide his peas in a little drawer in the dining room table. Once, when my son was a toddler, we went a full week thinking that there must be a dead mouse somewhere in the living room, only to discover a putrid stalk of steamed broccoli he had hidden in the draw of a side table. My kids don’t usually complain about vegetables when they’re roasted. When I first discovered roasted broccoli my kids devoured it. “Mmm, this broccoli tastes like kale chips!” is an actual quote from kids, although they're not wild about either vegetable any more. What they have not tired of is roasted cauliflower. I usually roast cauliflower with olive oil, salt and pepper but this version is a nice way to mix it up. I discovered it in a Food & Wine magazine years ago. In the magazine this recipe was served as a nibble at a cocktail party but we eat it as a side dish. In a large bowl toss the cauliflower with the butter and oil. In a small bowl combine the sugar, salt, pepper, paprika, smoked paprika and cinnamon. Sprinkle over the cauliflower and toss. Spread cauliflower on a parchment lined baking sheet that is large enough to hold the cauliflower in a single payer. Roast until crisp-tender and caramelized, tossing once or twice, about 20 minutes.